So the weather Gods were definitely not on our side. It rained and rained and rained some more, but it was all love that was pouring for Flick and Callum’s wedding day at Aswanley. Even though the pesky Storm Callum created a teeny weeny bit of a challenge for us, I have to say that this amazing couple played the game and we had a blast!…Scotland?…October?….rain?…what rain? I don’t want this awesome day to be all about the weather though, but it almost seemed that from the very beginning everyone was extra determined to make this a special wedding and I really think that this is evident. 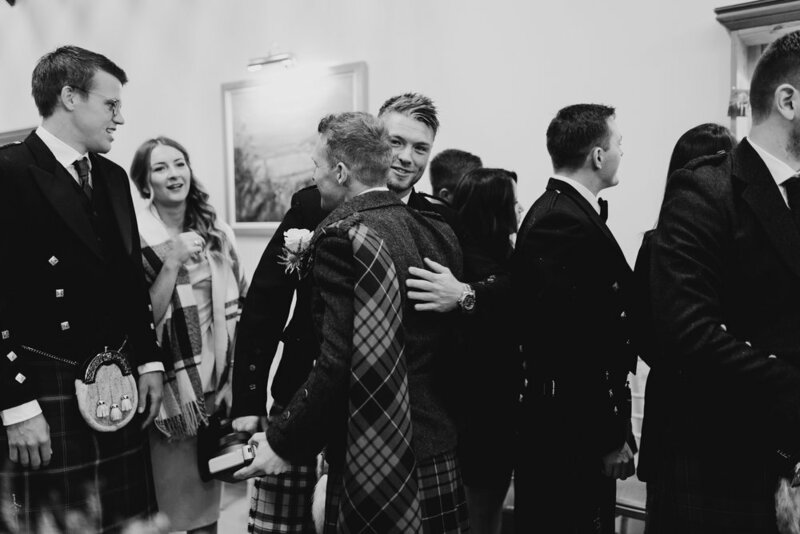 The happiness and joy throughout from the beautiful wedding prep at the wonderful Craigellachie Hotel, Granddad’s Mickey Mouse tie for the kids to the hilarious Mr & Mrs game (what’s your fav song Flick?) and of course the full on boogie with everyone giving it large. Of course no wedding can live without the venue and as usual Aswanley, which I LOVE was the perfect setting and the perfect choice for Flick and Callum. This amazing setting never fails to disappoint me and I’m delighted to share these images with you all. Everything…….the happy couple, the weather, the awesome family and guests at one of my favourite venues really made this the most fun wedding and a real winner in my book which I will never forget.